I just bought a 2014 CPO W212 E350 base sedan. 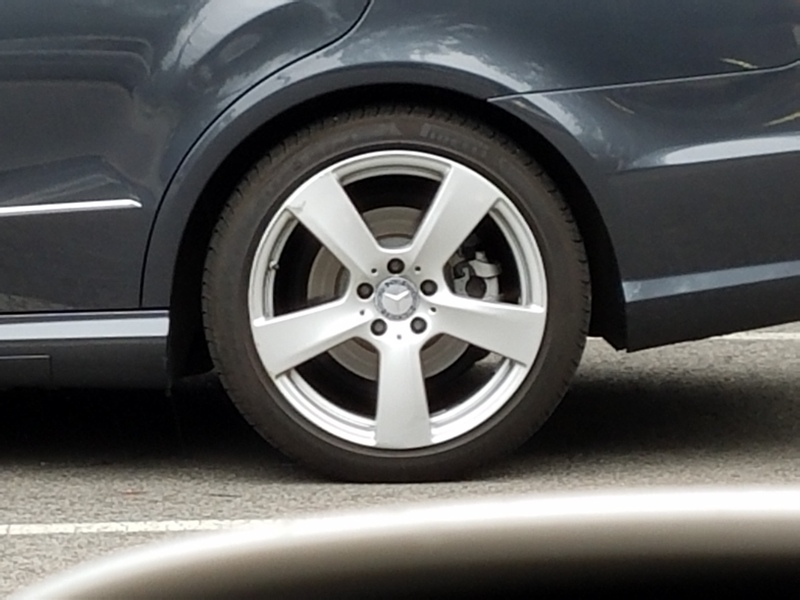 I don't care for the OEM wheels and would like to put the 5-spoke OEM wheels from a 2012 W212 model. When i look at various sites online, it lists the years for the wheels i want as 2010-2013 and when i put 2014 it says they won't fit. My model is the exact same as the 2010-2013 models. Local MB won't confirm them either. 8.5x18 ET48 - same for the 2010-2013 as well as my 2014 W212. Am i wrong to assume they will fit even though sites say they won't? Also, if i do buy a set of the OEM wheels, is it acceptable to remove the TPMS from my current OEM wheels and use them on these replacement OEM wheels? Lastly, the wheels i have found on eBay are the "remanufactured" models. Not aftermarket copies and the images on their auctions show the inside of the wheel with the stamp for the size and details that make them look authentic. I assume all they do is take used wheels and clean, repair, and put new clearcoat on them. Including image of my current OEM on my red car and the ones i want on the black car. Thanks for responding. I did ask the parts guy and he wouldn't confirm or deny if it would fit. I told him its the same bodystyle and he went into the yada yada about the offset needs to be correct, etc. I assume they didn't want any liability. My sister has a 2012 and I thought about trying her wheels. I just don't see why they would NOT fit but since several different sites say their wheels are for the 2010-2013 model it makes me wonder if there's something i am missing. Appreciate the info. Wasn't sure about the facelift but knew it was a W212 like the 2010-2013. Is the TPMS removable and can be inserted on the replacement wheels or will I need to buy new monitors? I also have a 2008 W211 with the AMG exterior package and wheels and love the staggered wheels but will not put staggered wheels on my 2014. I would think they are removable. When you remove the tire you should be able to get at them. You definitely do not need to buy new TPMSensors. They are not and cannot be coded to the wheel, they use a specific frequency that MB's use. So, as long as they work with your car, they will work with any wheel. I think the frequency is 433 mhz. The battery life of these sensors is an issue though, it only lasts about 4-5 years depending on use, and the battery is not replaceable. 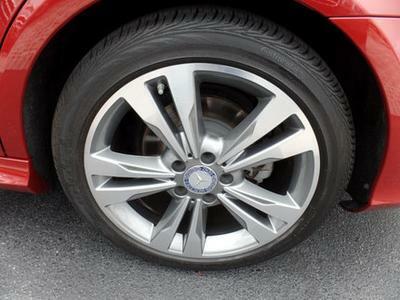 From this forum, staggered wheels are ok on the '14 4matic as long as the circumference of the wheels between front and back is the same or very close. I have staggered wheels but am running the same size tires at all four corners. Only rotating is affected. Last edited by Tump43; 12-05-2016 at 05:29 PM. If you correct and the wheels sizes and offsets are identical then it will work without question. Also, dish out the extra money and stay away with replica wheels. I had a set of replica AMGs and they vibrated very badly at speeds over 70 mph. Find a used set or go to the ton of websites that are selling re-manufactured OEM wheels. Last edited by Diesel #2; 12-05-2016 at 07:59 PM.